Some say that necessity is the mother of invention. As the sun falls out of the sky during a hungry summer night, I could think of no other famous quote to capture my spirits as I was dropped off at the front doors to the local grocery store to search for sustenance for my crew. With inspiration waning as my energy dipped, I was in search for an epiphany along the perimeter of the produce section when I came across the in season citrus selection and saw the vibrant green of limes. What to pair with the tartness of the lime? 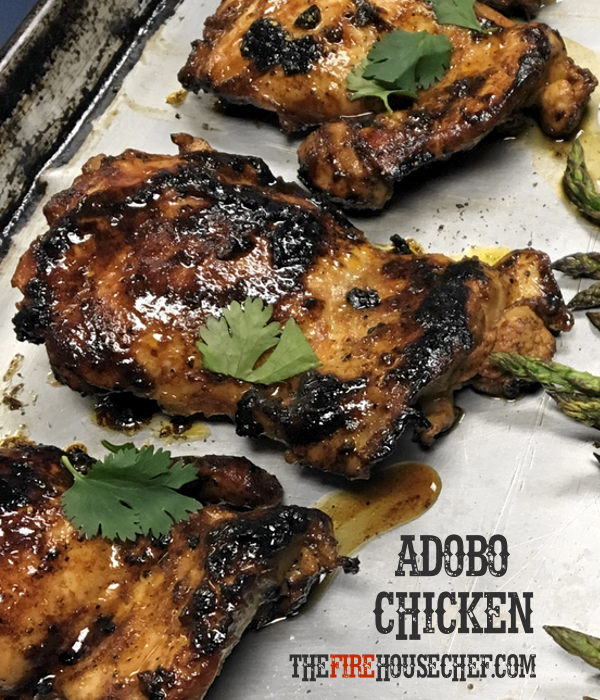 I have always wondered how it would pair with a top shelf favorite of mine, chipotles in adobo. This Latin-inspired wonder hits so many of the culinary boxes; spicy, smoky, acidic all in one, it is magic in a can. Chicken thighs were the sale choice du jour that I noticed when entering the store so this was a natural choice for the protein. The addition of a little brown sugar rounds out the bitterness while allowing for a deeper caramelization during cooking. And what this produced was an inexpensive, quick dish worthy of any inventor. A few after the fire critiques: the need to add water is optional but suggested. I like the way the adobo sauce became shiny and tacky like a good Chinese take out dish when adding the water. It also ensures that the clean up of the cast iron won’t take forever (you’re welcome). This can also lean into an Asian direction by adding any Asian inspired condiments (i.e.- soy sauce and honey roasted peanuts). Have fun. 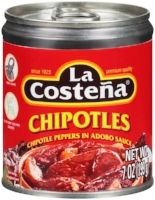 Place the chipotles in adobo in the blender and blend until it resembles a sauce, 30 seconds. Place the sieve over the bowl and pour in the adobo sauce. Using a large spoon, push the contents into the bowl ensuring to scrap the underside of the sieve leaving only the solids behind. Zest then juice the lime while also adding the brown sugar into the adobo sauce and mix to combine. Place the chicken into the adobo sauce and marinate in the fridge ensuring to toss 15 minutes in. Remove the chicken from the fridge and season with salt and pepper. Meanwhile, preheat the cast iron pan over medium-high heat on the stovetop. Place a cup of water near the pan and reserve. Cook the chicken in batches ensuring not to crowd the pan, 4-5 minutes, or until the chicken releases from the pan. Use the remaining adobo sauce and brush to apply additional coats to the chicken while cooking. The water should be used whenever the sauce begins to burn by adding 1 Tbsp. at a time. Flip the chicken over and cook an additional 3-5 minutes or until cooked through (165F) and coated on all sides. Remove and let stand for 5 minutes before serving. Top with cilantro and indulge.